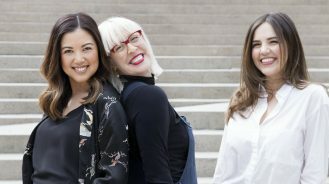 California’s Napa Valley and Sonoma regions have the wine thing perfected, so when planning a circular route from San Francisco through wine country, artist Christine Flynn focused on finding great design destinations. Much like a great Napa Cabernet, this week-long road trip doesn’t disappoint. From San Francisco, head up Highway 1 to Healdsburg, which is about a 1.5 hour trip from the city. A coastal drive is necessary for any California road trip. After all, some of the best design was created by nature itself, and this stunning coastline is proof of that. Before heading inland, check out The Marshall Store or Hog Island Oyster Co. for the best oysters and cool outdoor eating vibes. 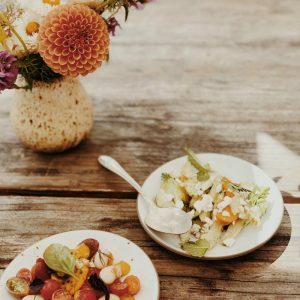 A must-do while in Healdsburg is The Shed, a one-stop shop and restaurant with all the wine and cheese provisions you need to make your own picnic. The best place to enjoy your spread is the Sonoma Lake Overlook at sunset. 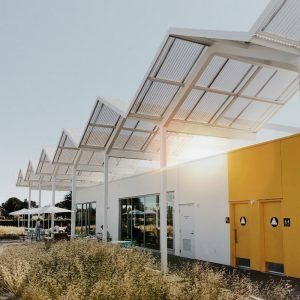 Hotel Healdsburg is an ivy-clad, modern structure with a muted color palette, clean lines and lush greenery. 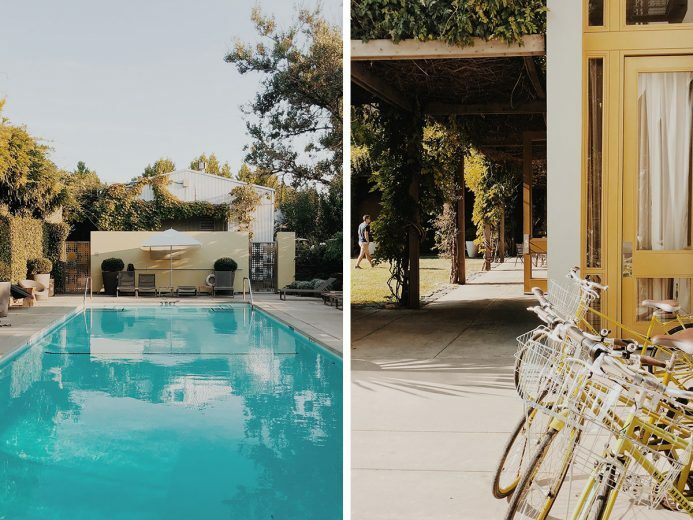 The pool is a beautiful and private place to soak in the Sonoma sunshine, and the bottomless mimosas at breakfast definitely get the day off to a good start. 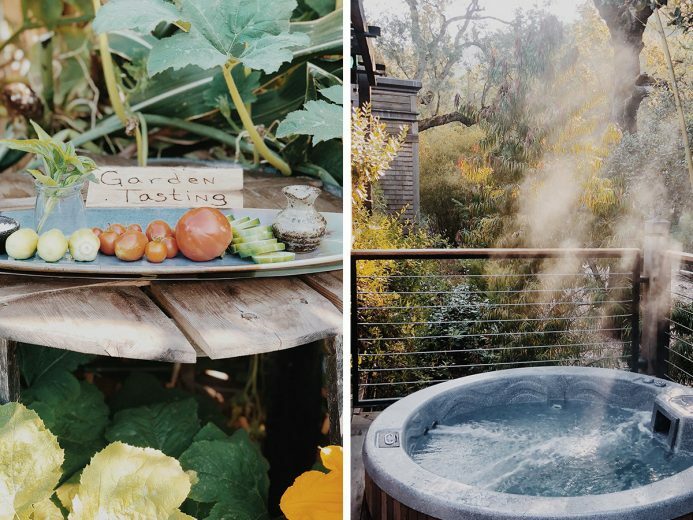 Just a half hour drive from Healdsburg is idyllic Calistoga, known for its hiking trails and hot springs. But competing with all of that natural beauty are a few great design gems to appreciate. Located along Highway 29, the main artery into Napa, Ashes & Diamonds is a must-see winery for anyone with a sense of design nostalgia. With its mid-century modern zig-zag roof, the design aesthetic is reminiscent of Palm Springs in its heyday. Their Cabernet is also a winner. Calistoga Ranch is an upper Napa Valley Canyon oasis and a design dream. 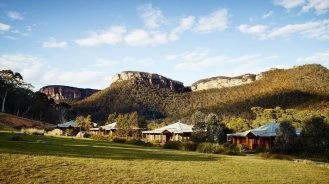 Here, time is best spent hiking, in your personal hot tub or simply wandering the beautiful grounds where you can even collect fresh eggs for the chef to prepare. The style is a nod to Frank Lloyd Wright, with dramatic horizontal lines and seamless transitions between indoor and outdoor spaces. This spot truly makes the most of both architectural and nature’s design. An hour from Calistoga lies Carneros, often referred to as the gateway to Napa and Sonoma. 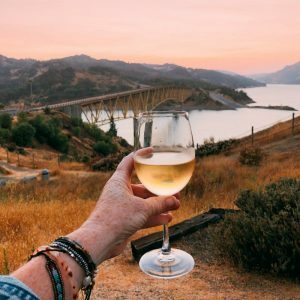 So many wine lovers pass through the area on their way to those more well-known wine regions without realizing that there are 30 wineries located in Carneros alone. In terms of local wineries, Scribe is a trip highlight. You can feel the attention to detail the moment you turn into the palm tree-lined drive. 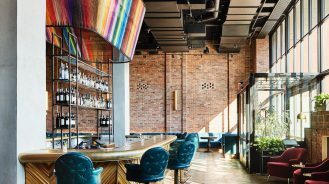 Its hip feel creates a 360-degree experience, from the hacienda-style buildings to the clean creative presentation of pairings, and even the design of their wine labels. Carneros Resort and Spa scales its design to make it highly individualized, with each guest having their own appointed board and batten-sided cabin, private outdoor hot tub and shower and fire pit for two. Relaxation is the number one priority here, and with so many options at the resort, you won’t want to leave. 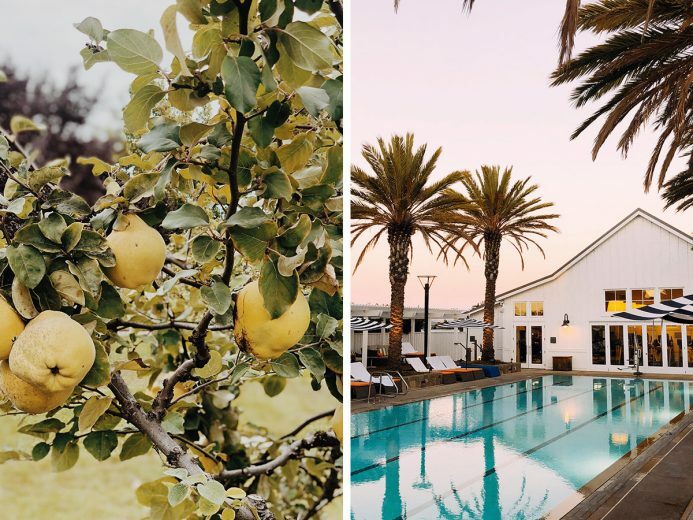 The hotel has a hilltop pool overlooking Napa’s rolling vineyard-covered hills, and the grounds include groves of fruit trees and Queen Anne’s lace. To close the loop and return to San Francisco, it’s only a one-hour drive. Spend one night in The Golden Gate City to reflect and take in a few more design indulgences. Walk around the eclectic Mission District, or take a famous cable car for a spin (hot tip: do the trolley ride on the way back to avoid crowds and rest your feet). 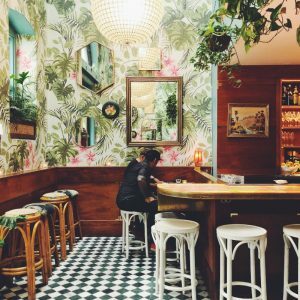 There are impeccably designed food spots worth checking out along the way, including Leo’s Oyster Bar, for the most delicious seafood and cocktails, as well as Tartine Manufactory for brunch. 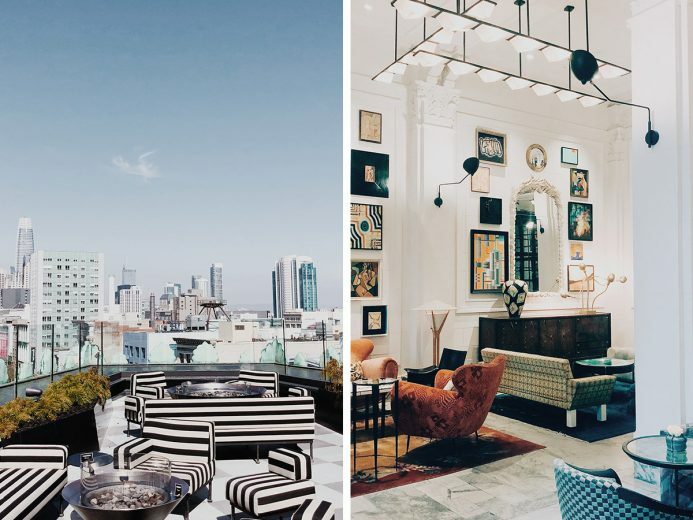 San Francisco Proper is one of the most talked-about new hotels in the city. The Mid-Market District flagship is a must-see for all design-savvy types. Architecture buffs will appreciate the historic flatiron building and the city views from the rooftop. Interior design enthusiasts will marvel at Kelly Wearstler’s take on the lobby—a space where layers of art, lighting and seemingly impossible patterns all compliment one another. Those who are more into the art scene might recognize the name of Proper’s all-day restaurant and lounge, Villon. Inspired by French artist Jaques Villon, brunch here was artfully delicious—a perfect last meal before heading home.